Re: World's Most Complicated Watch! 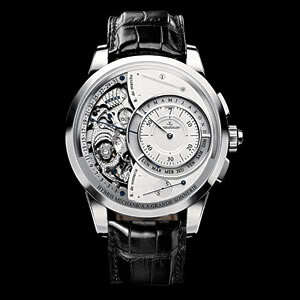 If you are one of the 30 people who will own this timepiece, you will probably want to be careful with it. 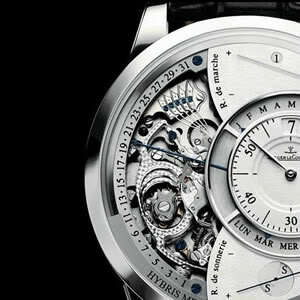 Aside from the obvious fragility of the ultra detailed movement, this is a seriously collectible timepiece. Thought $2.5 million was a lot? Wait 10 or 20 years and see what the watch is worth then. 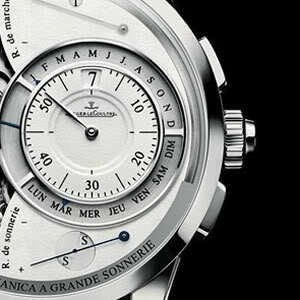 The watch itself comes in an 18k white-gold case and is 44mm wide by 15mm thick. Part of the mystique is how Jaeger-LeCoultre is able to fit everything into the case: Sapphire crystals on the front and rear of the watch provide a clear view into the surprisingly easy-to-read dial -- given everything that it does -- as well as the ornately decorated movement on the front and rear of the watch.